Mitchell Dance Theatre) under Lisa Toups and spent summers at Nashville Ballet and Atlanta Ballet. Inspired by her mentor to pursue dance in college Joanna received a dance merit based scholarship to attend the University of South Carolina as a dance education major. During her time at the university Joanna danced in many productions by Balanchine, Parsons, and Mckayle. Joanna was a recipient of the Richard Durlach Dance Education Scholarship, the founder of Fusion-a student run dance improvisation company and president of the student chapter of the National Dance Education Organization at U. of S.C. After graduating Joanna moved to Chicago to pursue a professional career in dance at Visceral Dance Chicago. Two years later she moved to Portland, Oregon to dance with Polaris Dance Theatre and co-founded PDX Contemporary Ballet with current artistic director Briley Neugbauer. Joanna returned to Atlanta to warm up, recharge and retrain with Carol Szkutek at Atlanta Ballet. 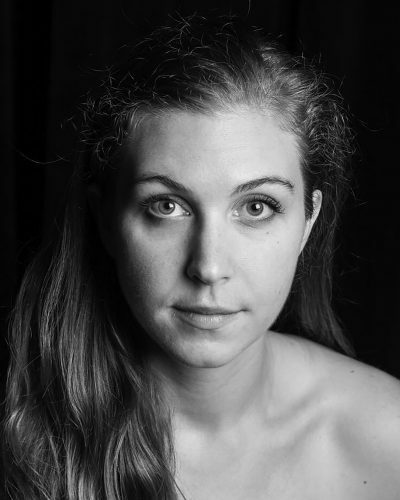 Joanna will begin her second season with Arova Contemporary Ballet this Fall and is now a RYT 200hr Yoga instructor.